Why should I buy this map? Includes 18 Munros, five of which are over 4000 feet high (Cairn Gorm, Ben Macdui, Cairn Toul, Braeriach & Sgor an Loachain Uaine) and 3 Corbetts. 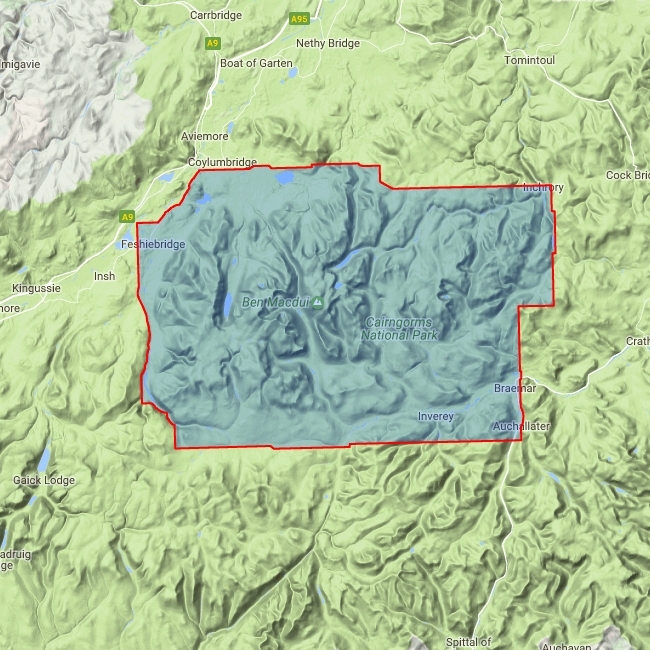 Detailed map for hillwalkers of the Cairngorms at the popular 1:25,000 scale. Includes the full length of the famous Lairig Ghru pass. As used by Cairngorm Mountain Rescue Team.